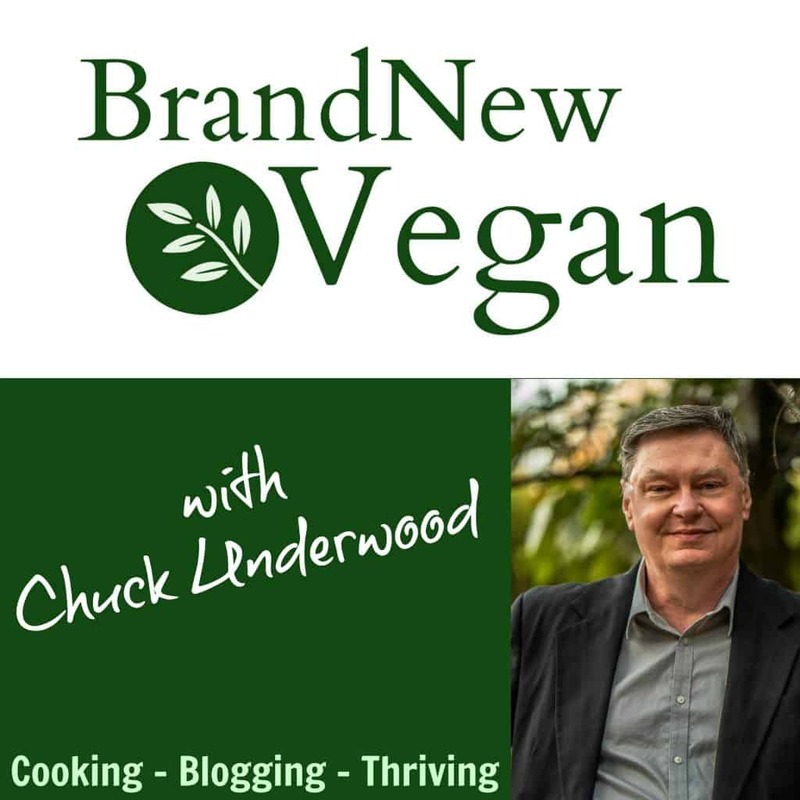 Becoming a Brand New Vegan, you may think our diet is all about the veggies. Don’t get me wrong, they DO play an important role, for their vitamins and nutrients but you’re going to need a lot more than veggies in your belly because one thing they lack – is calories. If you try to stick to an all veggie diet, you’re going to find yourself very hungry. And that’s no good if you want to make this new way of eating work for you. And one of the oldest and most popular starches of all time is rice. 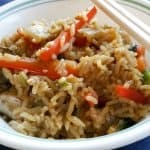 This Garlic Veg Fried Rice Recipe is one of my favorite ways to get both my starch AND my veggies, all in one pot. We all loved Chinese Takeout as SAD eaters, and Fried Rice was always my favorite – but it’s – well – you know – fried. Usually in lot’s of oil! 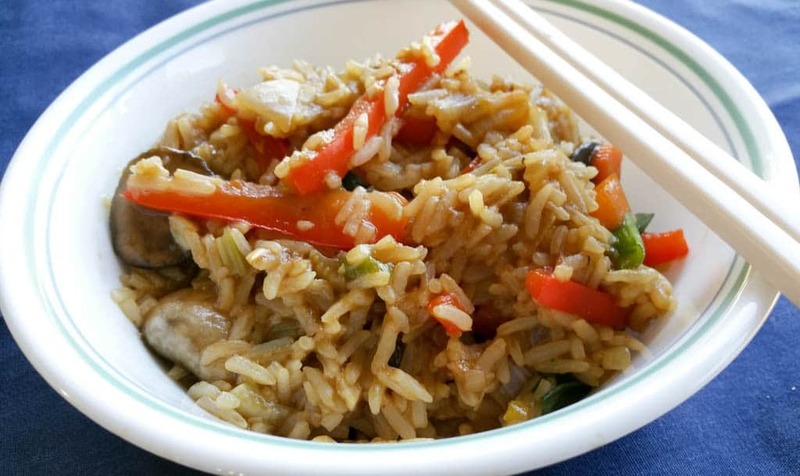 This version gives you that same Fried Rice Yumminess, without all that artery-clogging oil. And before you ask – yes – it is TOTALLY possible to stir-fry without oil. 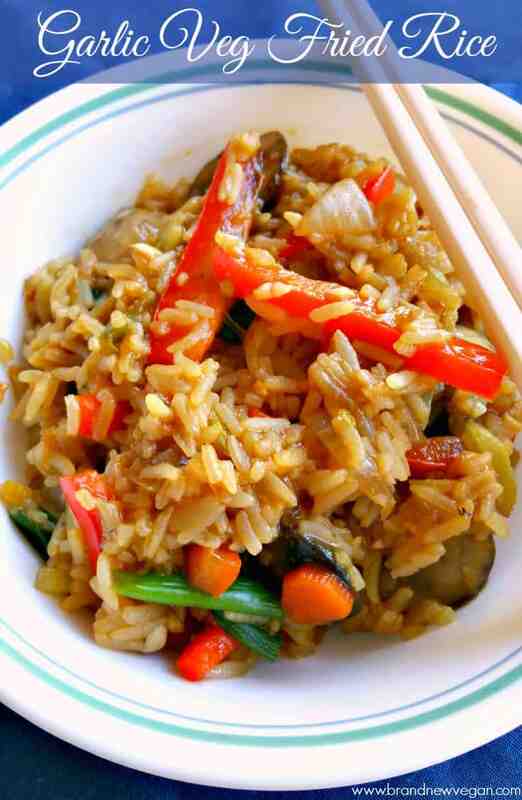 The secret to amazing vegan, no oil added, fried rice is cold, refrigerated, day old rice. At the very least, have the rice made in the morning and refrigerated all day. Any moisture at all in the rice will make it sticky and clump. Not good. Nobody likes mushy rice. I use white Jasmine Rice, although brown rice will work too. Follow your brand’s specific instructions, and make sure to take it easy on the amount of liquid you use. Remember. More water = sticky rice. As soon as it’s cooked, place it in an uncovered bowl and place it in the refrigerator. We want to dry out as much moisture as we can. Another secret to a successful stir-fry is to pre-chop everything. I use 4-5 little soup bowls to hold all my individual veggies. Remember that some veggies take longer to cook, so keeping them in individual bowls makes it easier to add them one at a time. Stir Fry Secret #3: Preheat whatever pan you’re using. I have a stainless steel wok, but any large pan should work. I heat it up until I can flick a drop or two of water in the pan and it will immediately start to sizzle. So how do you stir fry the veggies without oil? Water! Just add a splash or two as necessary to keep things from sticking. And stir baby stir. You HAVE to keep things moving around or they WILL stick. That’s it! 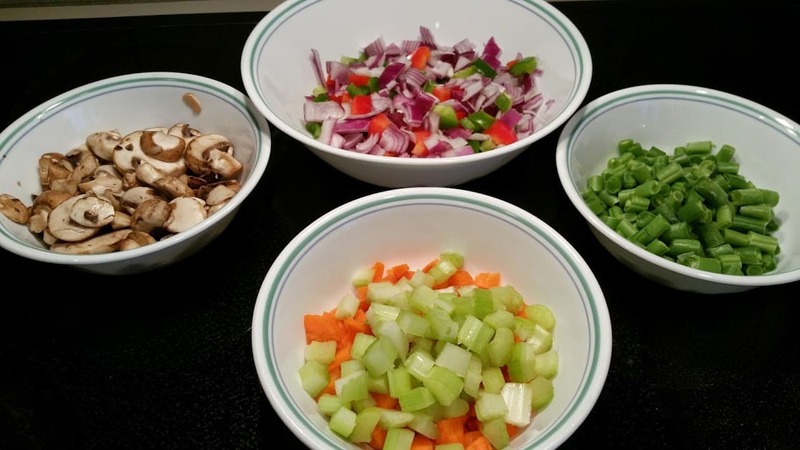 The secrets to a successful, oil-free stir fry! Use whatever veggie you like! Peas, broccoli, snow peas, baby corn, get creative! Just make sure they’re all chopped to about the same size. Lastly, for the sauce in this recipe, I used my Oriental Stir Fry Sauce. You can find it by clicking the link. Your recipe looks delicious! At the risk of being “that” commenter, there is some chopstick etiquette for not leaving chopsticks in a bowl of rice as you have in the photo. Google chopsticks in rice for more details. Really??? I had no idea! I will definitely Google it. Thanks! Fixed! Wow – I really had no idea that was considered so rude and disrespectful. Thanks for the input, and hopefully I didn’t offend anyone. (My first picture showed the chopsticks sticking out of the rice – it’s a cultural no-no).